According to the Economic Times Apple is considering five or six independently run "outlets," with floor space in each store up to 5,000 square feet. Executives familiar with the matter cited by the publication calls them "extremely prominent locations." An Apple-authorized reseller claims that the new locations will be in Belgalaru, Chennai, Mumbai, and New Delhi at first. Later openings will be in Hyderabad, and Pune. "With company-owned Apple Stores yet to take shape in the country, Apple wants some of the franchisee run outlets to up the experience game through this new format," the reseller told the Economic Times. "This is part of Apple's new India strategy to focus on selling on experience rather than discount." Other moves that are expected to take place at the same time includes contracting distributors from five to two, pulling back on smaller store expansion, and entering into new partner agreements with online sellers to ensure consistent pricing across the product line. 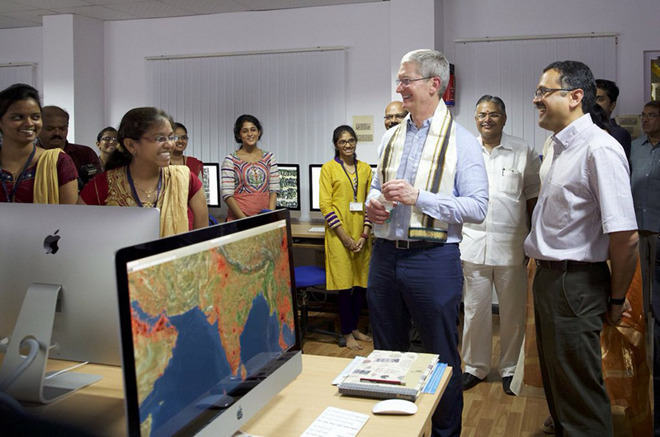 At present, Apple has about 150 resellers in India, and it is unclear how Apple's reorganization in the country will impact this number. Apple has refused comment on the matter. While the Economic Times has been accurate in predicting Apple's manufacturing moves in the country, it has missed its predictions on Apple retail in the past. It has predicted expansions of Apple retail in the past that have never panned out, even five years later. Beyond its well-publicized struggles regarding component sourcing and taxation, Apple has also run afoul of anti-spam regulations in the country. "Every access provider shall ensure, within six months' time, that all smart phone devices registered on its network support the permissions required for the functioning of such apps," the regulation states. "Provided that where such devices do not permit functioning of such apps, Access Providers shall, on the order or direction of the Authority, de-recognize such devices from their telecom networks."